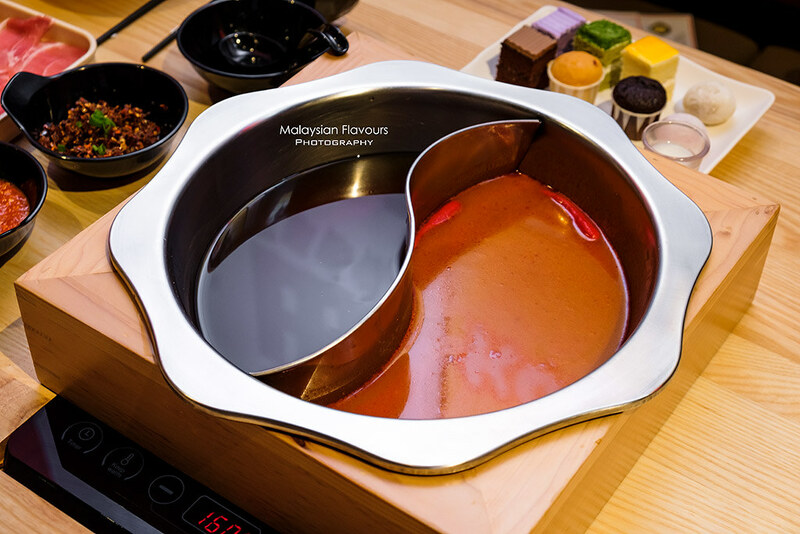 Wagyu More Malaysia at The Gardens Mall KL, the to-go place for all-you-can-eat Japanese shabu-shabu in Mid Valley City area. Their shabu-shabu buffet highlights on unlimited servings of US pork loin, imported pork collar, imported pork belly, Australian beef brisket, Australian beef chuck roll and chicken thigh, along with an array of fresh vegetables, mushrooms, hot food, ice cream and dessert to complete your shabu-shabu experience. 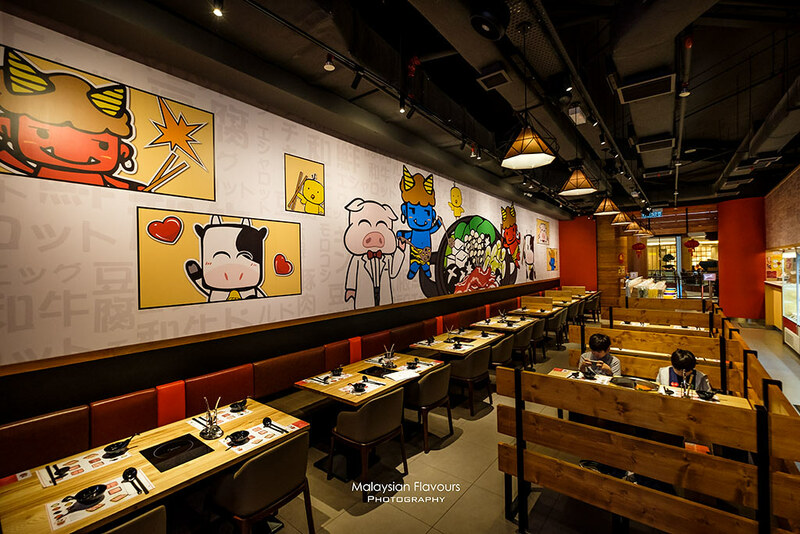 What surprises us is the price, which is really affordable considering its location and quality given – only RM36.88*++ /pax for lunch, RM44.80*++ / pax for dinner. 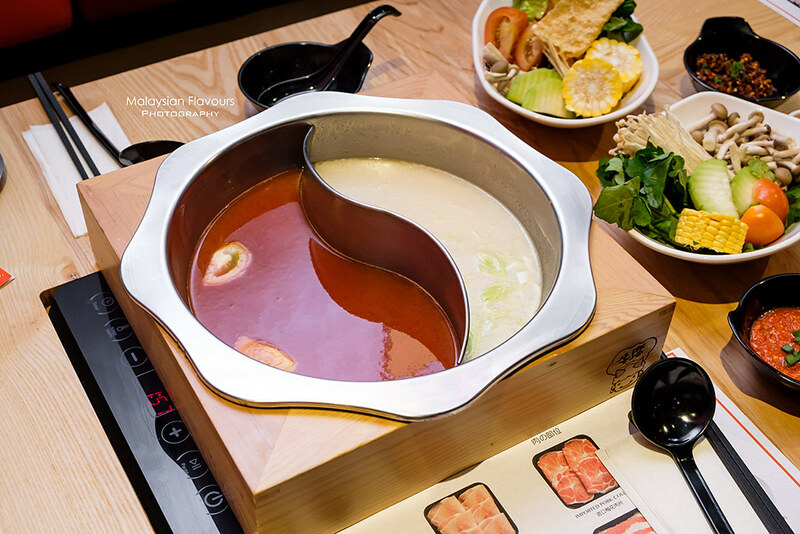 While Wagyu More price-friendly shabu-shabu and carefully selected meat already give us enough reasons to visit, they caught our attention more with the premium shabu-shabu set – a menu that offers Spanish Iberico Pork Buffet at RM98.80++, Australian Wagyu Buffet at RM148.80++ and Japanese A5 Wagyu Buffet at RM388.80++. 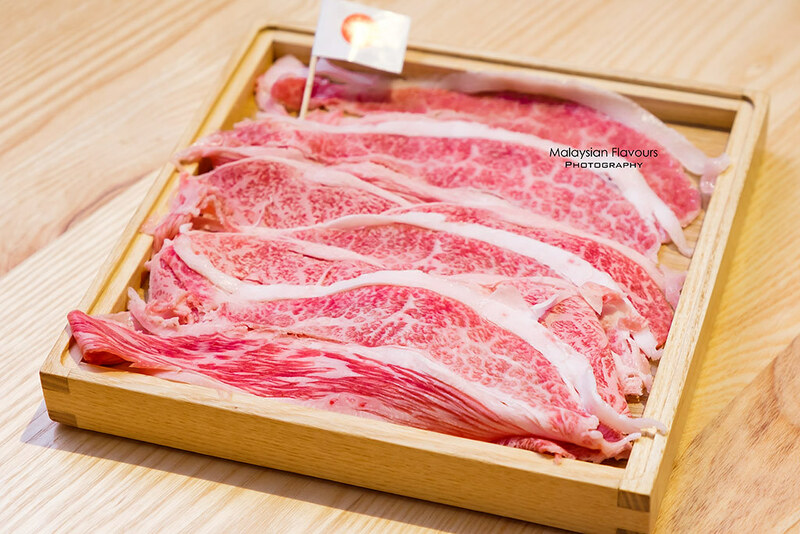 Certainly a worthwhile buffet offerings that easily distinguishes Wagyu More from many other usual shabu-shabu restaurants in Kuala Lumpur, as these meat options are not widely available in town, not to mention when comes to all-you-can-eat Japanese shabu-shabu. 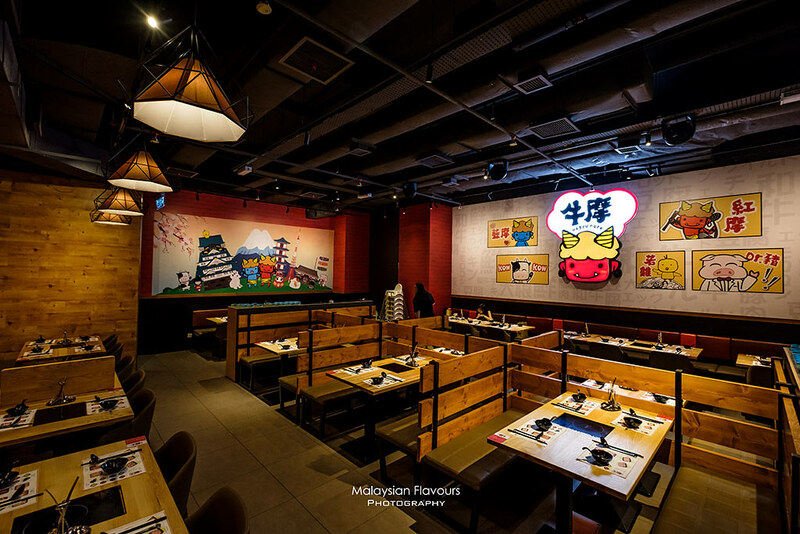 For those who are keen to know a little bit about Wagyu More, this establishment is actually hails from Hong Kong, with the 1st restaurant opened in the heart of a bustling town – Sha tin. 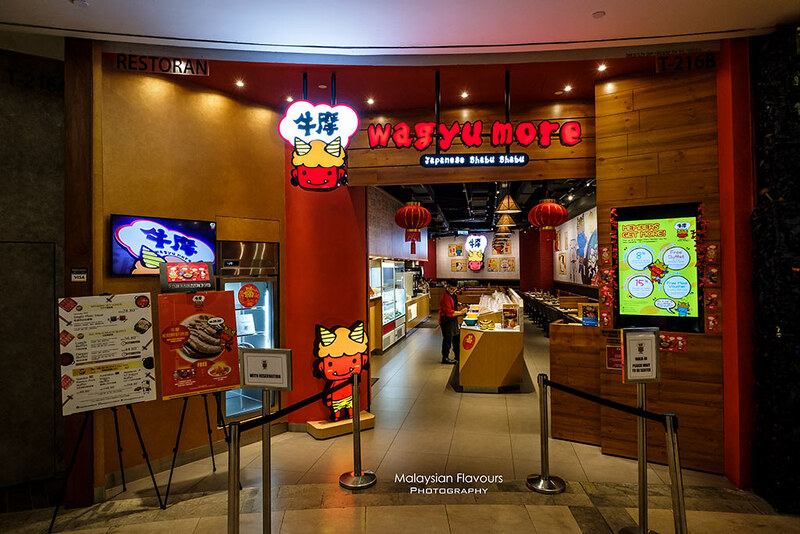 They have then expanded to have 6 outlets in the country, and now, landed in Malaysia with 1st flagship store in The Gardens Mall KL. Visited Wagyu More The Gardens Mall last weekend, and yay, get to shabu-shabu with various types of meat slices, and refilled as many plates as we wanted to within the 2 hours of eating time. 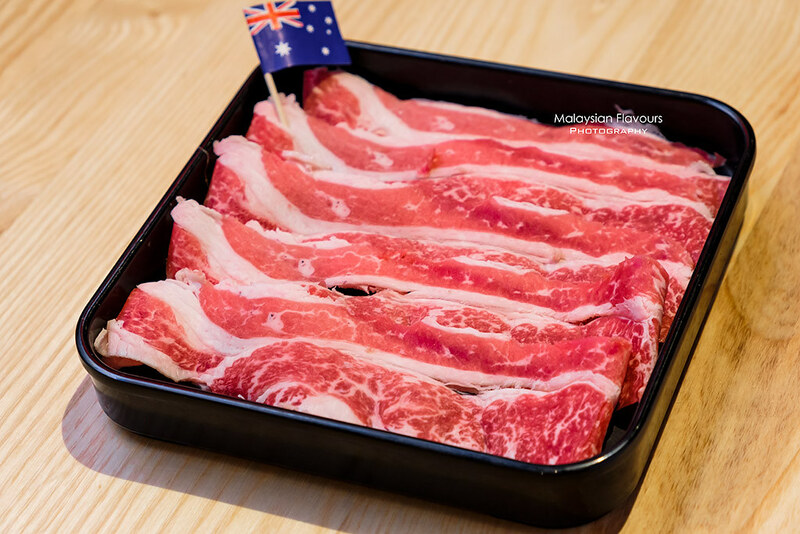 US pork loin, imported pork collar, imported pork belly, Australian beef brisket, Australian beef chuck roll and chicken thigh – look tempting isn’t it? 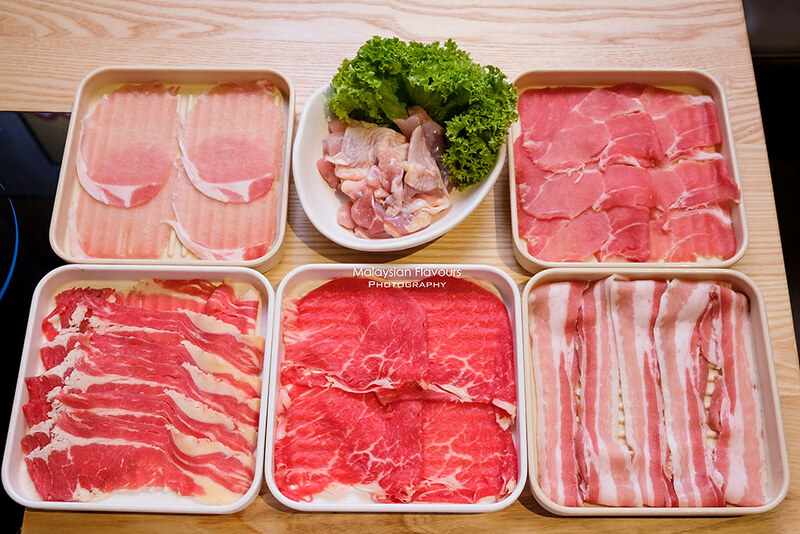 All meats are freshly sliced upon order. Hence, this also explains why it takes a bit longer for your meat to arrive, especially during peak hour. Be patient. Quality food always worth the wait. 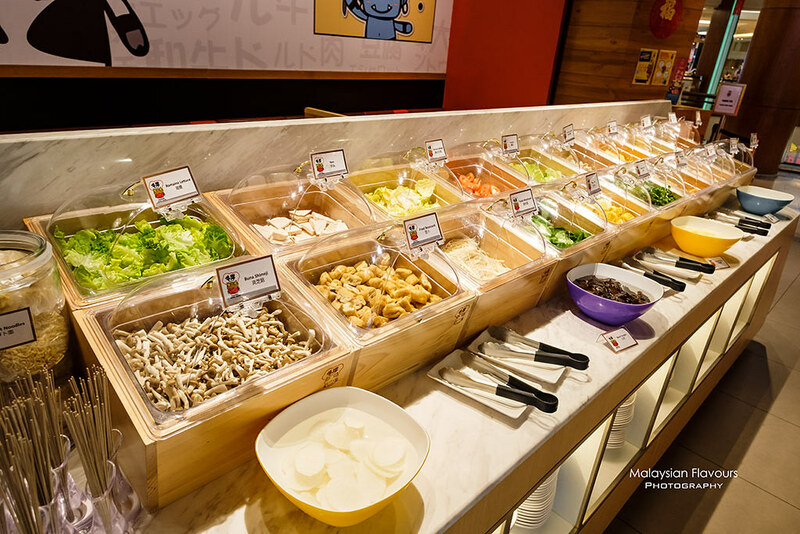 For soup selections, there are 8 types in total, namely Pork Bone, Sukiyaki, Spicy Pork Bone, Japanese Curry, Kombu, Tomato, Kimchi and Miso soup. Diners can opt for 2 types of soup in one pot. 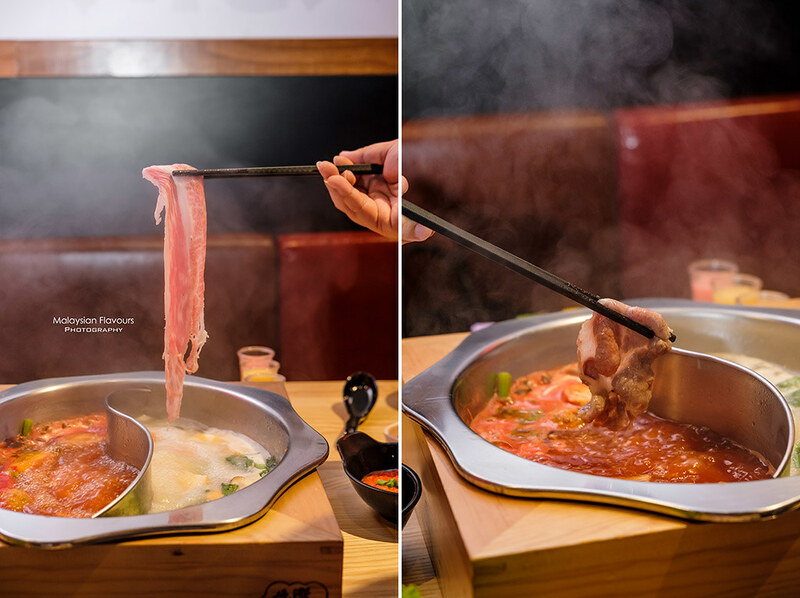 We tried 4 of them – sukiyaki, tomato, spicy pork bone and pork bone soup. 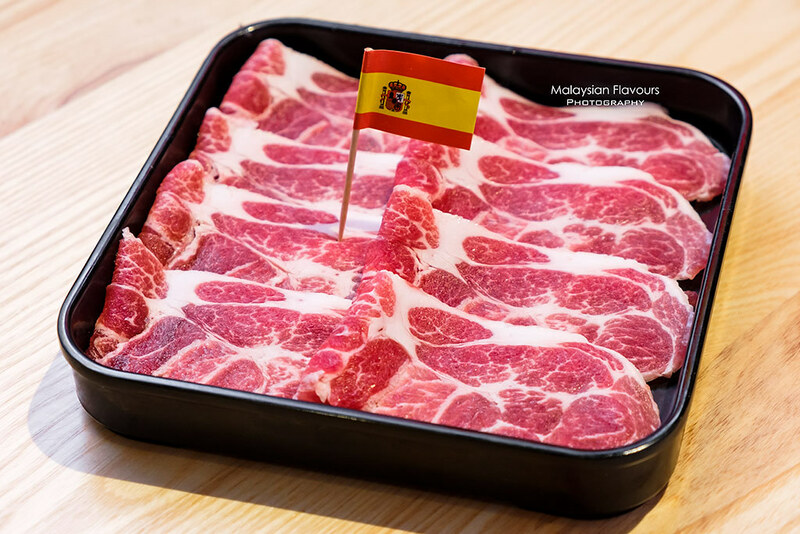 Top up a plate of Spanish Iberico Pork RM22.80++/plate, Japanese A5 Wagyu Beef RM88.80++/ plate, and Australian Wagyu Beef RM32.80++/plate for a more satisfying swishing session. As we mentioned earlier, if you are a big fan of these meats, do go for their Premium Buffet so that you can enjoy them as much as you can. Our favourite is definitely the Japanese A5 Wagyu Beef! Look at the beautiful marbling! Delightful texture too of course! Almost melt in the mouth! 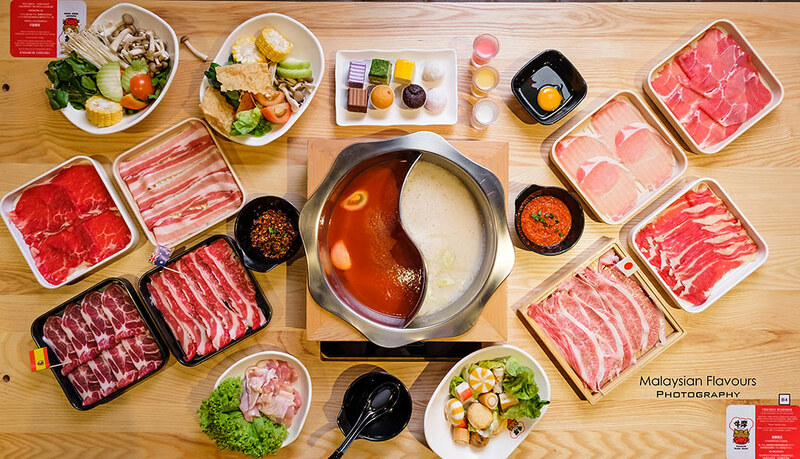 Other than unlimited refill of beef and pork, complete your meal with more hotpot ingredients from the self-service counter -Romaine lettuce, buna shimeiji, yam slice, fried beancurd, Chinese cabbage…. ..enoki mushroom, tomato, bak choy, iceberg lettuce, sweet corn, oyster mushroom, watercress, pumpkin, beancurd skin, Chinese winter squash, eryngii mushroom, carrot, milk cabbage. 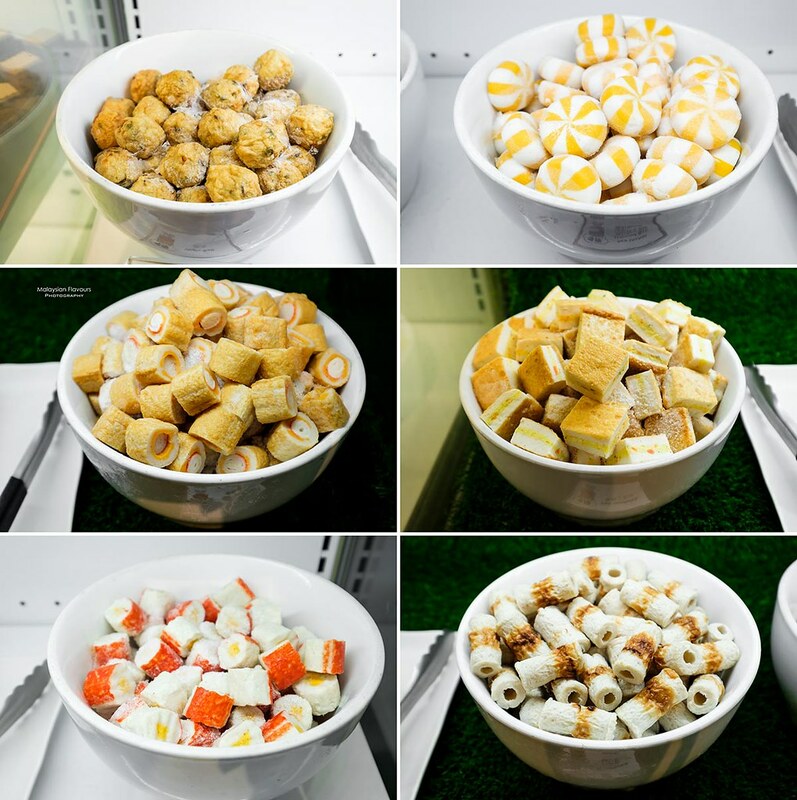 Also, yaki chikuwa, fish chilli paste, oborotsuki, sea urchin flavoured ball, cheese fish tofu, veggie ball, Japanese egg tofu, udon, smooth tofu, fish sandwich. 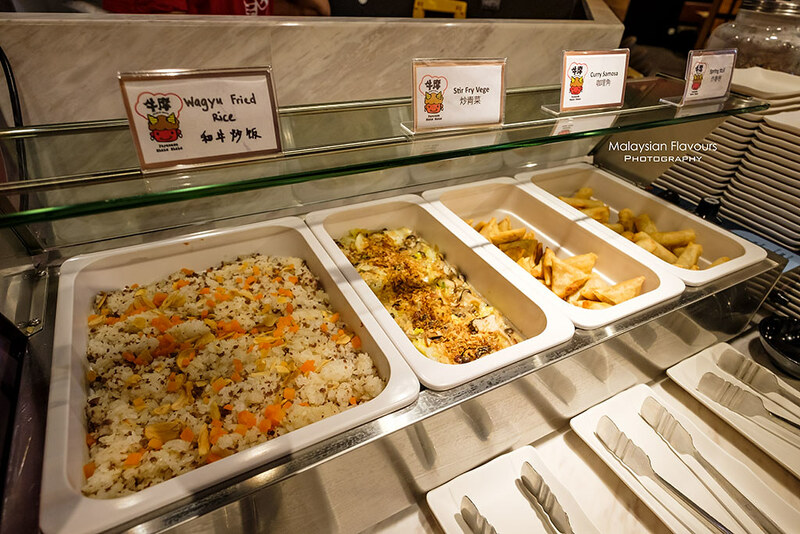 Hot food of the day : Wagyu Fried Rice, Stir Fried Vegetables, Curry Samosa, and Spring Roll. Just nice to have some to nibble on while waiting for our soup to boil. We like the Curry Samosa! Desserts are included in the price you pay for. So end the meal sweet with red bean mochi, peanut mochi, mango cake, green tea cake, yam cake, chocolate cake, lychee pudding, strawberry pudding, mini muffin, chocolate softserve and matcha softserve. 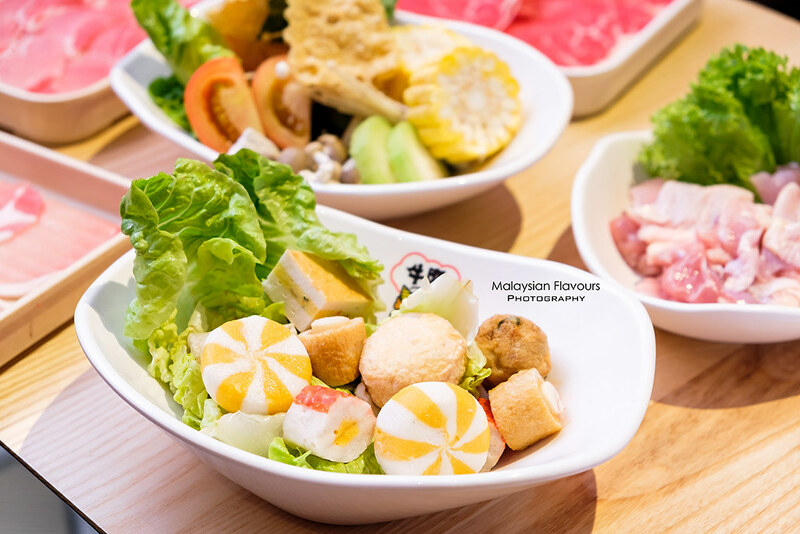 Apart from buffets, Wagyu More also serves Weekday Set Lunch for single plate meat with choices of chicken, pork and beef, free flow of meatballs, vegetales, drinks, ice cream and desserts. Price is RM28.80++, 11AM-5PM. Dining time limit for Weekday Set Lunch is 60 minutes.